Every year Kids Run RVA gets thousands of young people across our region moving through our support of local running clubs. We focus on reaching kids across the region- Church Hill to Swansboro, up to Hanover, down to Chester, out to Short Pump, and everywhere in between. Check out the Kids Run RVA MAP to see where all the run clubs are! Volunteer coaches lead our running and walking clubs at local schools and communities. Clubs meet before or after school to run, jump, walk, and play together! Over time, young people in Kids Run RVA Clubs improve their fitness, build a love for running and walking, and prepare to participate in one of our events. 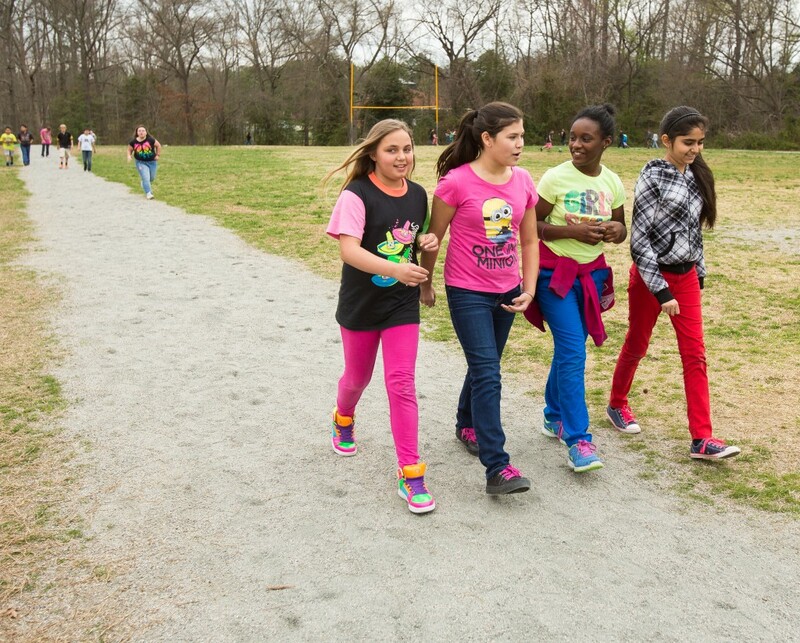 Want to get moving with a Kids Run RVA Club? Help us start a new club. Having a few willing parents, teachers, or volunteers is all it takes to get a new Kids Run RVA Club started. Learn more about our coaching clinics and resources. Our programs would not be possible without the help of volunteers like you! We are looking for individuals who are interested and enthusiastic about helping coach at school and community based kids run clubs. Email us for more information. Apply to become one of our esteemed volunteer run club coaches!